The SilverStripe CMS is an open source web content management system used by governments, businesses, and non-profit organisations around the world. It is a powerful tool for professional web development teams, and web content authors rave about how easy it is to use. As a platform, the SilverStripe CMS is used to build websites, intranets and web applications. The modern architecture of the SilverStripe CMS allows organisations to keep pace with innovation on the web. The SilverStripe CMS enables websites and applications to contain stunning design, great content as well as compelling interactive and social functions. Besides a powerful and intuitive content authoring application, the SilverStripe CMS contains a powerful PHP5-based programming framework. 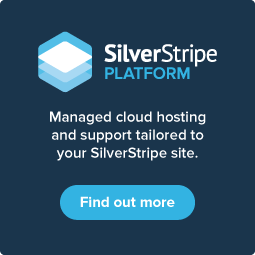 The SilverStripe Framework brings immense flexibility and ease in customising your site and provides fundamentals such as security models, workflow, caching and multiple language and subsite support. Try out the content authoring interface yourself!